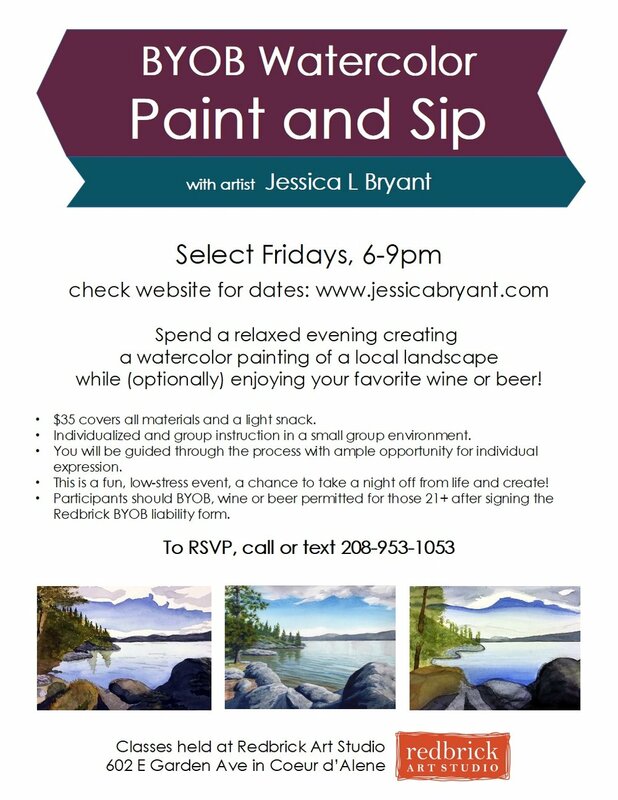 Spend a relaxed evening creating a watercolor painting while (optionally) enjoying your favorite wine or beer! $35 covers all materials and a light snack. Individualized and group instruction in a small group environment. You will be guided through the process with ample opportunity for individual expression. This is a fun, low-stress event, a chance to take a night off from life and create! Participants should BYOB, wine or beer is permitted for those 21+ after signing the Redbrick BYOB liability form.